Many initial visitors to Reno stay within a few block range of the Downtown casinos. Don't be afraid to venture out because you will find a wide range of things to do–especially around the Truckee River and in the Arts District and Midtown District. These areas are known for their pedestrian friendly pathways, dozens of parks, shopping, and cultural activities. Reno also celebrates its heritage with restored architecture, museums and special events such as Artown. You can even find free hiking and mountain biking trails within 10 minutes of Downtown Reno, making this a city for all activities. Hot Tips: The Downtown Reno area just below the Arch is slowly bringing in more business, but avoid the tacky souvenir shops that are still there. Hot Tips: Reno is about 30 minutes away from Lake Tahoe and that area's sports and summer activities. Visitors to Reno can keep it convenient by sticking with the Downtown Reno hotels or resorts such as the Eldorado, the Silver Legacy and Harrah's Reno. Just outside of Downtown are several other large casino resorts such as Grand Sierra Resort, the Atlantis and the Peppermill. 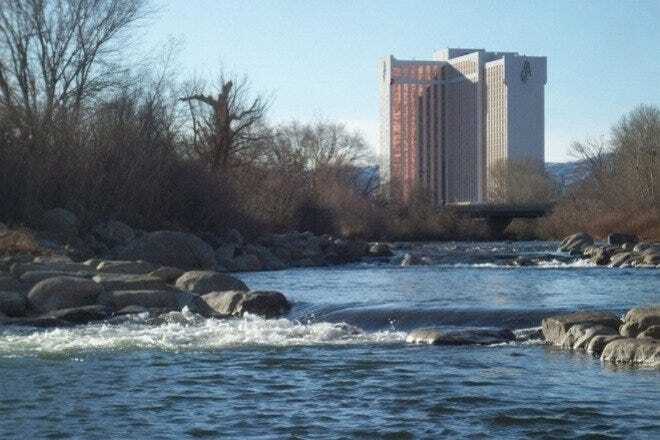 These hotels are located closer to the Reno-Tahoe airport and the convention center. Reno is now becoming more open to downtown hotels without gaming casinos. These include the hip Whitney Peak Hotel and the brand new Reno Renaissance. Hot Tips: The small, weekly motels off the main strip in Downtown Reno. Hot Tips: Reno also has a great selection of Airbnbs, but very few bed & breakfast options. Hot Tips: The Downtown Reno area is small and it's easy to walk around. When people think of Reno, they tend to envision a casino buffet. 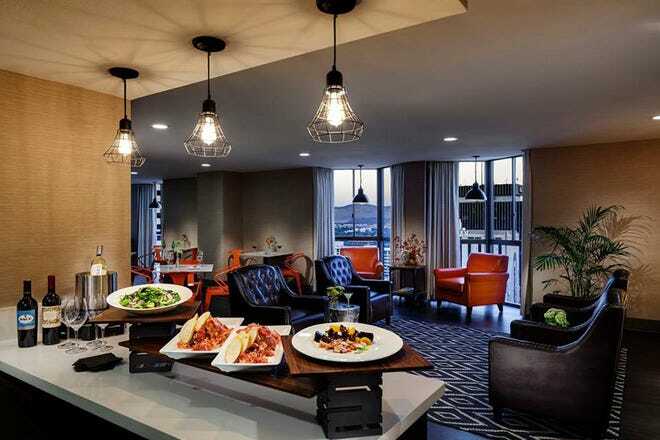 In the past few years, Reno has actually become a renowned location for locally-sourced food and luxury dining options. Take your pick of everything from intimate French cuisine at Beaujolais Bistro and authentic Indian from India Kabab & Curry to vegetarian delights from Laughing Planet. 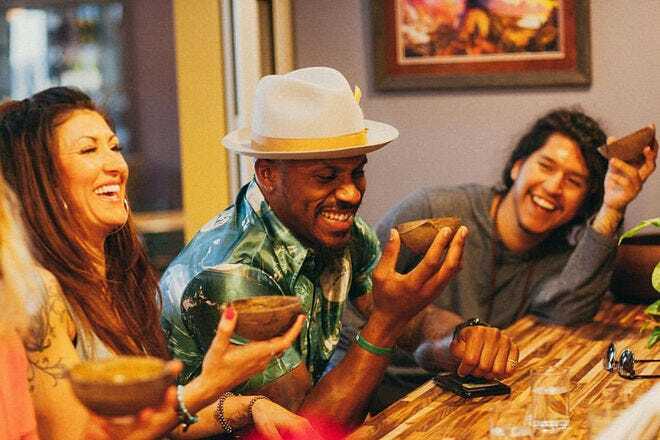 Many of the best restaurants are conveniently located in Downtown or Midtown Reno, but be sure to venture out to the edges of the city for local options from places like Postal Cafe in Washoe Valley. Hot Tips: Not all of Reno's buffets are great. Stick with the best options at the Eldorado and Silver Legacy. Hot Tips: Nearly all of Reno's sushi restaurants are all-you-can-eat and is one of the only cities in the nation to do this. Reno's nightlife is not just about gaming. The Biggest Little City also has a plethora of bars, nightclubs, live productions and special events all year long. 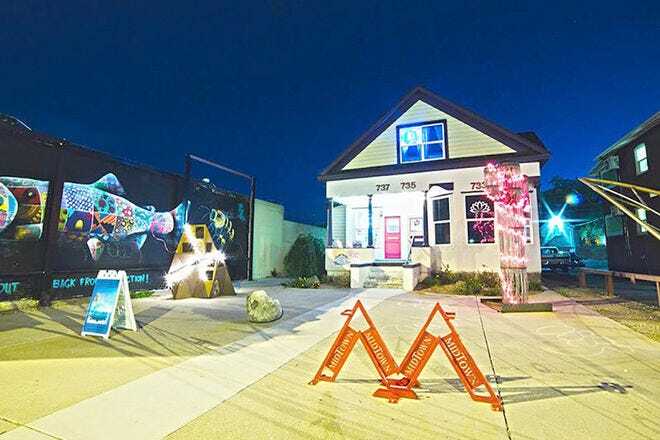 If you are into more classic nightlife, check out a production at the Pioneer Center for the Performing Arts or a more eclectic choice at Good Luck Macbeth. Both locations are close to Downtown Reno. For dancing, check out LEX at the Grand Sierra Resort for the latest music or Mountain Music Parlor for more toe-tapping songs. Many of the bars such as Sierra Tap House also have game or trivia nights. Hot Tips: 4th Street is cleaning up its act as the city's new Distillery District, but it is still a rougher part of town. Hot Tips: Nearly every month, Reno has either a wine walk or a beer crawl. For just a few dollars, you can get a glass or cup and wander from bar to bar until you can't wander anymore. Reno has some excellent shopping opportunities. Whether you want to experience an outdoor mall with mountain view such as The Summit or visit a few antique or vintage clothing shops like Junkee Clothing Exchange, you can do it all within a 15 minute drive. If you are looking for some Reno-specific items check out some of the great shops downtown or in Midtown. Midtown has a handful of fun, local stores where you can pick up original artwork and Downtown has stores like Reno eNVy with Reno, Tahoe and Nevada themed t-shirts, unique souvenirs, jewelry and hats. Hot Tips: Avoid the overpriced and more tacky souvenir shops located on Virginia Street near the Reno Arch. Hot Tips: Want to experience Burning Man without buying tickets? Check out Melting Pot World Emporium for costumes and desert gear. Hot Tips: Pick up Nevada-themed clothing, hats and gear featuring original artwork at Reno eNVy in Downtown. Five of Reno's most unique features and characteristics. Each July, Reno hosts a month-long arts festival that features over 400 events, most of them free. Nationally and internationally known artists, musicians, musical groups, dancers and theater troupes come to Reno just for the event and thousands of visitors come from all over to watch shows, paint, dance, create art and celebrate this world renowned event. In the past, Artown has presented performances from Yo-Yo Ma, Joan Baez, Pink Martini, Marcel Marceau and Mikhail Baryshnikov. This half pound of fresh beef, lettuce, tomato, onion and special sauce with an onion bun and a basket of fries has put Reno and the Little Nugget on the foodie map. The infamous burger was featured on the Travel Channel's "Food Wars"...and it won! Visitors to Reno and this this hole-in-the-wall diner come just to sink their teeth into this heaven on a plate. Other versions of the burger can be enjoyed at Rosie's Cafe at the Nugget in Sparks or at the Wolf Den near the University of Nevada, Reno. The Biggest Little City in the World's most famous landmark is the Reno Arch, located downtown on Virginia Street. The famous lighted arch went up in 1926 to celebrate the completion of the Transcontinental Highway. In 1929, the famous motto was decided in a contest put on by the city. The latest arch was put up in 1987 and in 2009 was fitted with highly energy efficient 2.5 watt LED bulbs. The old incandescent bulbs were given away to spectators to commemorate the event. The Old Reno Arch from 1964 is now up by the National Automobile Museum on Lake Street. The Reno Arch is one of the most photographed structures in the world. Thousands of visitors visit the Reno area each year for nationally known events such as Artown, the Great Reno Balloon Race, Burning Man, the Reno Air Races, Hot August Nights, Street Vibrations and the Best in the West Nugget Rib Cookoff. 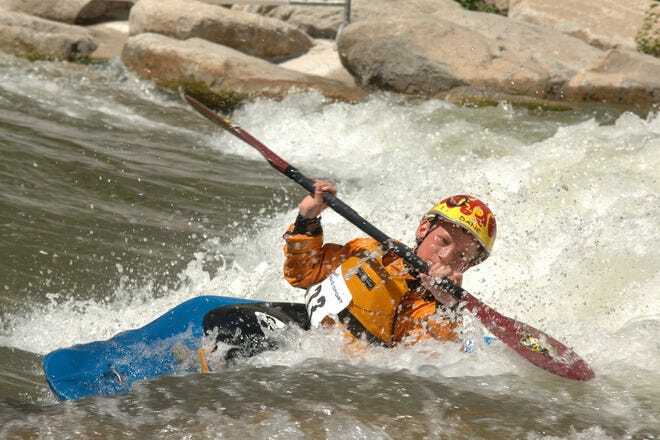 Other fun events include the Truckee River Festival where kayakers and other paddlers compete at the Whitewater Park which is located on the Truckee River in downtown Reno, the Camel and Outhouse Races in Virginia City, and the Reno Aces games at the brand new Aces stadium downtown. Most visitors to the Reno area are surprised to see how beautiful the location is. Reno is surrounded by mountains: on one side is the Tahoe Range which is full of alpine lakes, pine trees, rivers and wildflower meadows; the other side is the Virginia Range which has high desert plants and trees like sagebrush and piñion pine and access to the low Nevada desert and wetlands. Most days in Reno are sunny the sky is blue, blue, blue.